Russian sports stars Alex Ovechkin and Maria Kirilenko have announced they are planning to tie the knot after a year of dating. ''We are engaged !!!!!!! ))))))))),'' the Washington Capitals forward and two-time NHL MVP wrote on Twitter on New Year’s Eve. 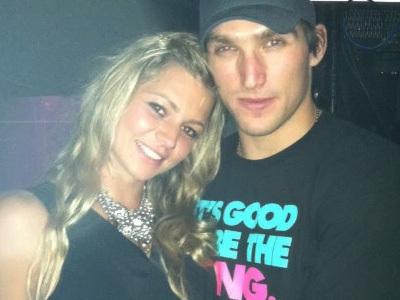 A few minutes later, Ovechkin's agent David Abrutyn tweeted congratulations to the star couple. The 27-year-old ice hockey star has played for Dynamo Moscow during the NHL lockout, while Kirilenko, 25, sits at 14th in the world rankings as she prepares for the upcoming WTA season. The two have been dating for about a year, with Kirilenko occasionally appearing at Ovechkin’s games in the capitals of both the US and Russia, while the NHL star was Kirilenko’s number-one fan at the 2012 London Olympics. Ovi in love with Russian tennis star?